Nissan® was looking for a cost-effective way to excite customers for the release of the all-new 2013 Altima. Brand new features of the car included various high-tech ways to listen to music, so Nissan needed something to fit with the theme of their "music-savvy" model. To do so, the dealership chose to give out Music Download Cards to potential customers at various showroom locations. Recipients were rewarded with the ability to download any song of their choice. 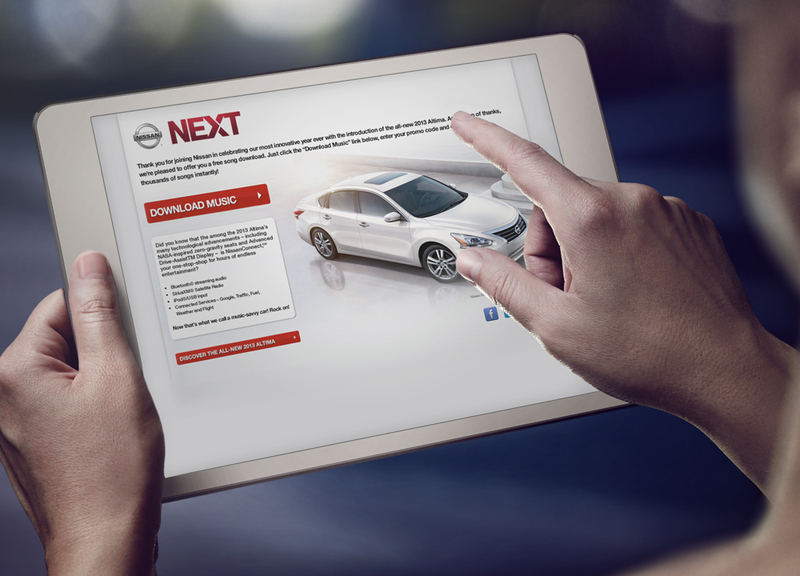 This valuable reward was a unique way for Nissan to thank potential shoppers for showing interest in their company. Music downloads are a universally appealing reward, so music download cards hold inherent value with consumers. And because the promotion ran in the US and Canada, the songs and landing page were offered in both French and English. Using cards as handouts makes distribution easy, even across many locations. Because of the language barrier, cards were the easiest way to give the same reward to both English and French speaking customers. 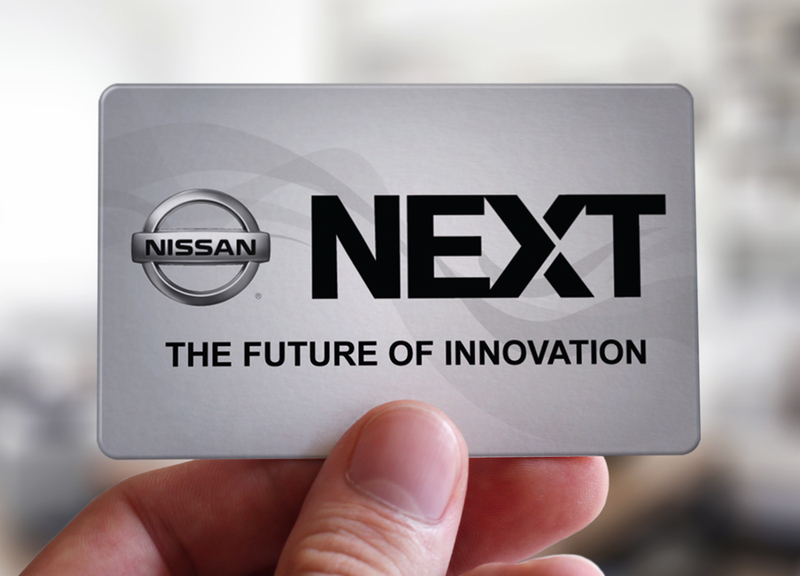 Nissan picked the easiest way to deliver rewards for this promotion.